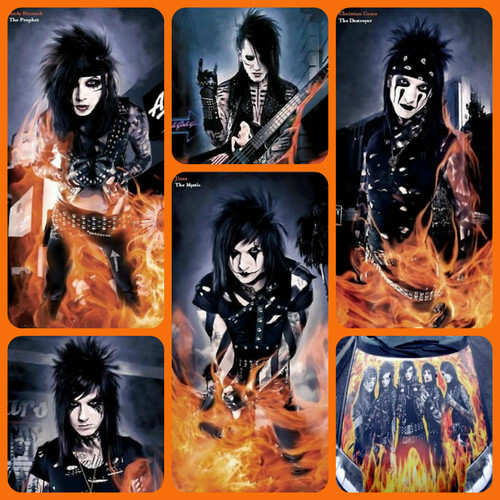 ☆ BVB ★. . HD Wallpaper and background images in the Rakshasa & फ्रेंड्स club tagged: black veil brides andy cc jinxx jake ashley. This Rakshasa & फ्रेंड्स fan art contains मोबाइल फोनों के लिए, हास्य पुस्तक, मंगा, कार्टून, एनीमे, कॉमिक बुक, and manga.